Or is it? Jonny was on BBC Radio Ulster’s The Vinny Hurrell show last night talking about going green! The recording is here and the relevant section starts at 14:00. Check this film out if you get a chance, It is so inspiring. Mark Powley writes about a film trip with a difference. 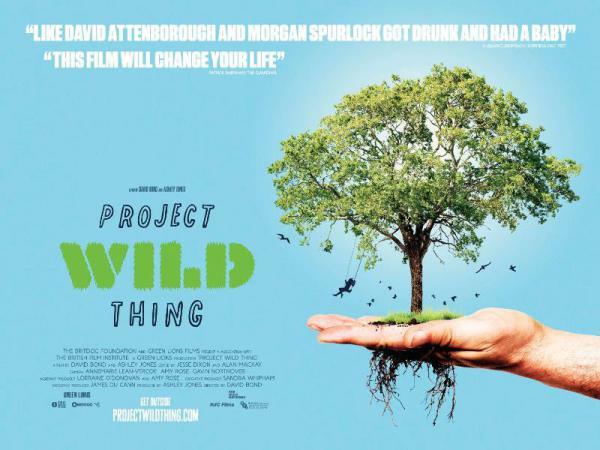 A few months ago, with the bitter winter wind whipping the streets of Leeds, Ailsa and I took all four kids out to see Project Wild Thing. ‘One man’s crusade to get kids to fall in love with nature again’. Points gained for watching a nature-y film – 10. Points lost for driving there in the car – 5. Points regained for watching it at an ‘art house’ cinema – 2. Points lost for spending £35 on a family film – 7. Or whatever. Anyway, it wasn’t quite the kind of Sunday afternoon hypnosis in which Pixar excel, but it was brilliant.